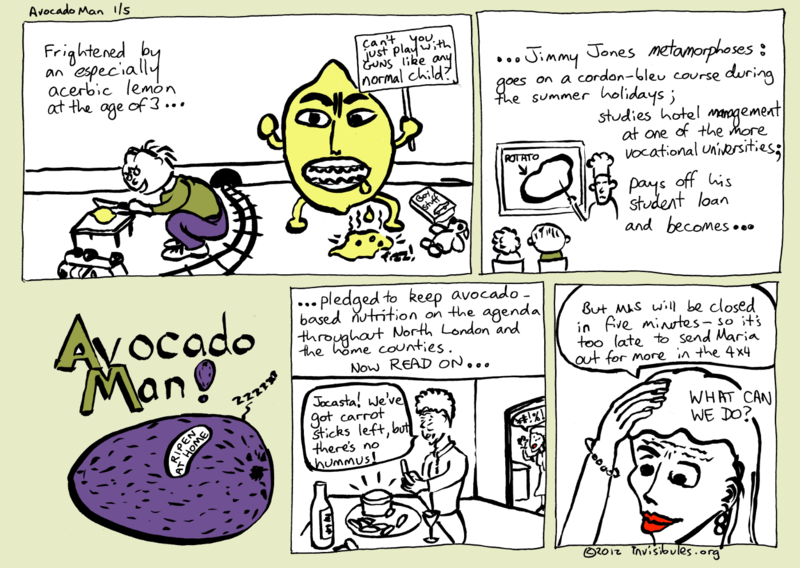 Part one of the Five Part saga, Avocado Man. [Lemon: can't you just play with GUNS like any normal child?] fizz!